WASHINGTON – U.S. Transportation Secretary Anthony Foxx today announced the immediate availability of $1 million in federal emergency relief funds from the Federal Highway Administration (FHWA) to the Missouri Department of Transportation (MoDOT) to help repair roads and bridges damaged by flooding throughout Missouri. 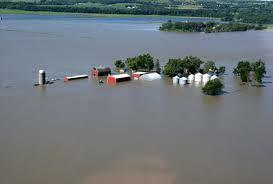 Missouri experienced severe storms and flooding in 76 counties—resulting in the closure of hundreds of roadway sections. Bridges throughout the state are damaged from landslides, erosion and scouring. Culverts are washed out. Missouri will use the $1 million provided today to help repair bridges as the state continues to assess the damage estimated to reach more than $6.5 million.